AmSafe has delivered millions of crew restraints worldwide for commercial airlines, general aviation, business aviation and rotorcraft applications. 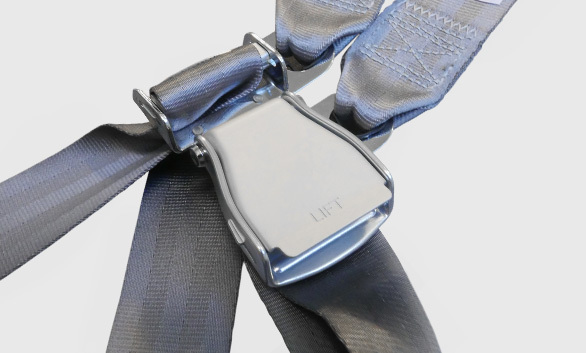 AmSafe restraints incorporate the most advanced technology available for passengers and crew members. We use advanced materials, manufacturing techniques, in-house dynamic testing and continual research and development to ensure that passengers and crew are safe and secure. Over 150 web colors in high quality polyester or nylon.